Strangers is a British 60 minute scripted thriller television series, which kicked off on September 10, 2018, on ITV and is broadcast every Monday at 21:00. The show is currently in its 1st season. ITV opted not to pick up Strangers for Season 2. Strangers officially canceled on ITV. Sign up to track down your favorite TV shows. 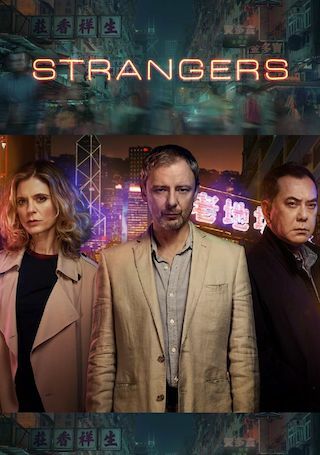 Strangers follows Professor Jonah Mulray, who receives a devastating international phone call about the death of his wife, Megan, who has been working in Hong Kong. He's poleaxed with grief, but has to galvanise himself to board a plane for Asia to identify his beloved wife's body. Megan has died in a car accident on the beautiful mountain roads at the top of Tai Po overlooking Hong Kong, and although a notorious black-spot, Jonah feels he must unravel the circumstances of her death following an emotional voicemail left by his wife just seconds before her death. With the help of Sally Porter from the British Consulate, Jonah is taken to the mortuary and in the saddest of surroundings he realises his wife has gone forever. Heartbroken Jonah is interviewed by Hong Kong detectives Daniel Tsang, Felix Chang and Wilfred Chow about Megan's death, but frustratingly they appear to be going through the motions. Is there more to the police investigation than the officers are revealing?